At the moment I am juggling being a parent and studying for my end of year exams. So finding time to meal plan and go shopping is hard. 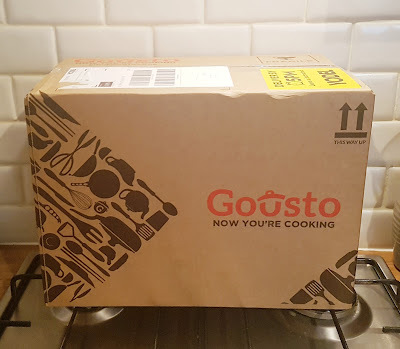 So when Gousto got in touch to see if we wanted to try one of their boxes I jumped at the chance. 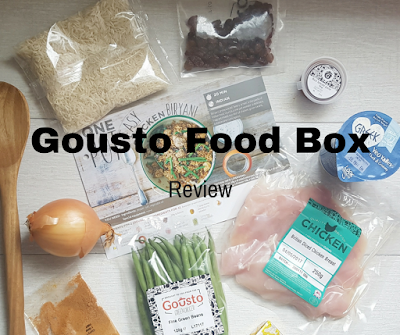 I have never tried a food delivery box before, and was curious to see how it worked. Firstly you choose your box, option for2 or 4 people. Their family boxes feed 2 adults and 2 - 3 children. Then pick where you would like your box to be delivered to. 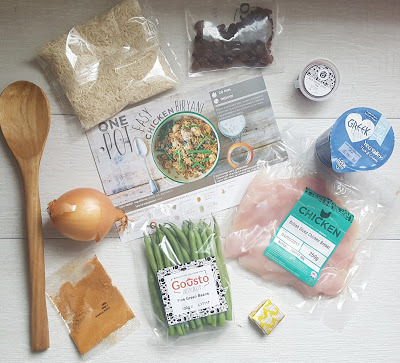 Then the fun part you get to pick what meals you want, from quick & easy to vegetarian to low calorie, there is a recipe for everyone. I was most definitely spoilt for choice. You then choose a delivery time & day that suits you. They offer free nationwide delivery which is a bonus. 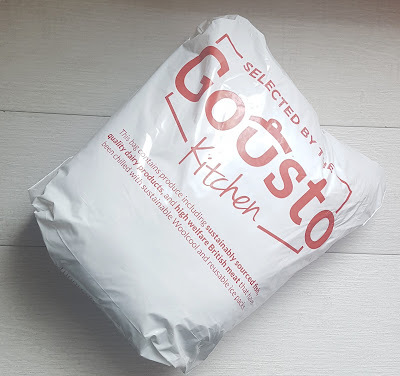 The box arrives insulates with ice packs.I was out when my box was delivered, however they left it in a safe place which i picked and everything was still nicely chilled when I opened it. I loved that all the ingredients are pre measured and labelled so I wasn't flapping around trying to weigh everything. I have never cooked biryaini before, however, the recipe card was easy to follow and I actually enjoyed cooking the meal. For a family of 4, boxes are £41.99 for 2 recipes, £51.99 for 3 recipes and £59.99 for 4 recipes. I know you must be thinking but Leighanne, I thought you are meant to be saving money? But wait .... I have a promo code for you guys if you fancy tying out your own Gousto box. 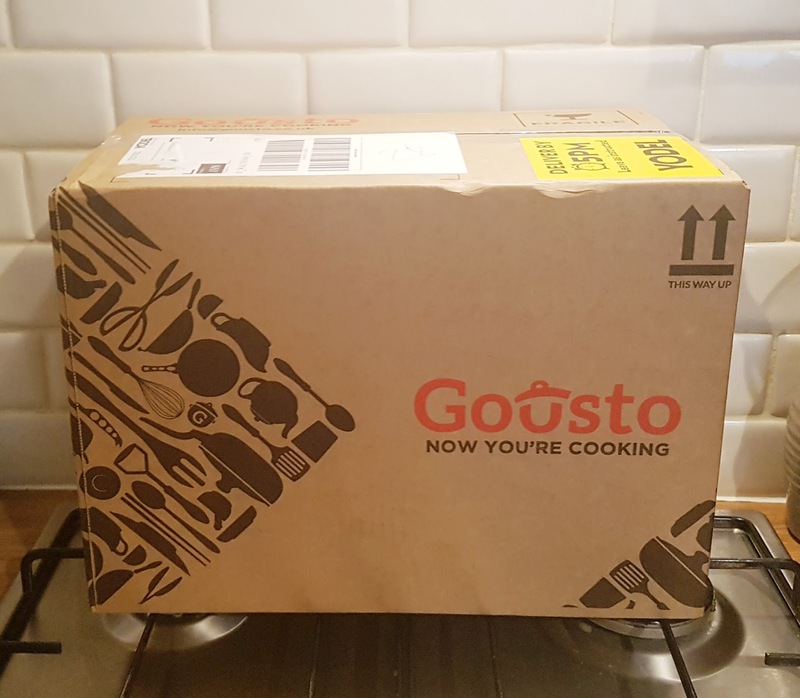 The code TORNADO will give you a £20 discount on your 1st and 2nd Gousto orders. Have you ordered from a food subscription company before? 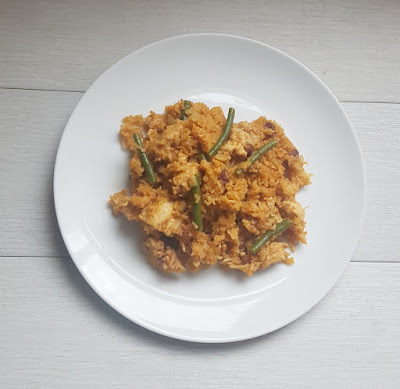 Do you get stressed worrying about what to cook for dinner or do you enjoy it?